The beggars are coming to town. This is the warning being made by the German Association of Cities in a report examining the negative impact of immigration from Romania and Bulgaria since 2006. During the intervening years, it is estimated that some 159,000 Romanian and 90,000 Bulgarian citizens have arrived in Germany, accompanied by what the Daily Telegraph describes as ‘a rise in organised crime’. What these figures fail to tease out of course is the percentage of these immigrants that happens to be Roma. Whereas many other Romanian and Bulgarian citizens will have upped sticks in search of legitimate employment, it would seem that this is not the preferred option for a very significant, if not a preponderant, element within the Roma. Four German cities have been singled out as ‘struggling to cope’ with the influx: Berlin, Dortmund, Hamburg and Hanover. The immigrants generally do not speak German, are low skilled and place significant economic and social strains upon the receiving cities, leading to a situation in which “The social balance and social peace is extremely endangered.” Depressing, yet refreshingly frank words and analysis. Why should Germany have to put up with this and bear these costs? Why should the UK have to allow a similar human ingress, following the removal of restrictions on immigration from Romania and Bulgaria on 1 January this year? Not one more unskilled labourer of any type is required, and we certainly need no more beggars. We are in the depths of a protracted recession, or more accurately, depression, and the arrival of such people can only serve to exacerbate existing problems and bring new ones. Migration Watch was right to caution that up to 70,000 per annum could arrive from these countries, and yet the Prime Minister ‘promises’ us an EU referendum in 2017 or 2018, thereby ensuring open borders until at least that date. What good is that? Last year it was revealed that The Big Issue had been colluding in a scam allowing Roma immigration from Bulgaria and Romania by classing Roma Big Issue vendors as ‘self-employed’, leading in some parts of the country to them constituting 80% of all those selling the magazine. Alas, the courts adjudged this scam to be legitimate, and to be in full accord with the law. For most of us, this appears to be the straightforward abuse of a magazine that was purportedly established to help the homeless get back on their feet, and save enough money to gain accommodation of some sort. For politicians however, the Roma issue is not big at all, but rather invisible. Criticise Roma criminality (‘culture’) and dark allusions will be made to a certain policy carried out on the continent some 70 years or so ago, yet look at the statistics and it is plain to see why so many Roma condemn themselves, or elect to follow, a life on the margins of society if not outright criminality. In Bulgaria for example, statistics from 2007 show that only between 60-77% of Roma children were enrolled in school education (ages 6-15) compared to 90-94% of ethnic Bulgarians, with only 6-12% of Roma enrolling in further education (16-19). If basic education is deliberately neglected to such an extent, how can the Bulgarian Roma hope for their children to find any form of legitimate employment when they become adults? Official census data states that in 2001 Bulgaria was home to 370,908 Roma and Romania to 535,140 in 2002, so there would seem to be a large pool of prospective migrants. It will therefore be understandable that owing to the politically correct strictures of reporting in this country that ethnic Bulgarians and Romanians will be tearing their hair out in years to come, reading and viewing report after report, in which their good name is blackened thanks to a significant element within their Roma export. Excellent article Durotrigan. I suspect that next year things in the UK will be far worse than they are currently in Germany. 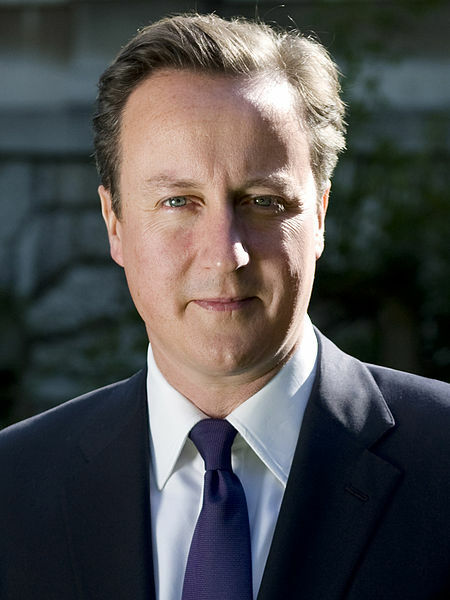 I implore you not to show that photograph of arch globalist traitor David Cameron any more as it gives me the creeps! When will this new party show its face? I have been waiting for what seems to be an eternity now! Time is now rapidly running out for this country! If UKIP manage to win the Eastleigh by-election (admittedly very unlikely) then any new party will face virtually impossible odds in establishing itself. I will wait a few weeks longer to see whether this new party comes into existence otherwise I shall have to join the British Democratic Party for want of a better alternative. Durotrigan, I urge you to give moderate nationalists like me a real date as to when this new party becomes a real party as we are losing valuable time. I hope the new party adopts a relatively liberal line on the subject of homosexuality as this will bring-in the votes and it will also help to ensure extremist anti-gay obsessives and nutters don't join( these kind of people also tend to be extreme in other ways) For some disturbing examples of what I mean by this look at the BNP's website and the responses towards the gay marriage vote in parliament the other day. One loony poster seems to think the powers-that-be are plotting the end of whites through making homosexuality 'acceptable' when all they are doing is accepting that a small percentage of the population is born homosexual/bisexual. There is just no reasoning with fundamentally irrational people such as these. If this new party doesn't appear soon I will have no option but to join the British Democratic Party. Don't blame the Roma! They may be at most the symptom. The English and all Europeans have just decided not to 'Babies'! The Birth Rate of 2.1 is just sufficient to sustain a society. You need the Romsa, you materialistic bastards in Europe. You delight in 'Things' your values are long past! Go to Hell Europe, but you may drag the U.S. & Canada with you. Why? Because we are probably even worse regarding 'Religion' than Europeans. There is hope! "From the blood of Martyrs Christianity will live in the hearts and souls of men and women once again." But first the Blood!